WHAT A DIFFERENCE A TWEET MAKES! 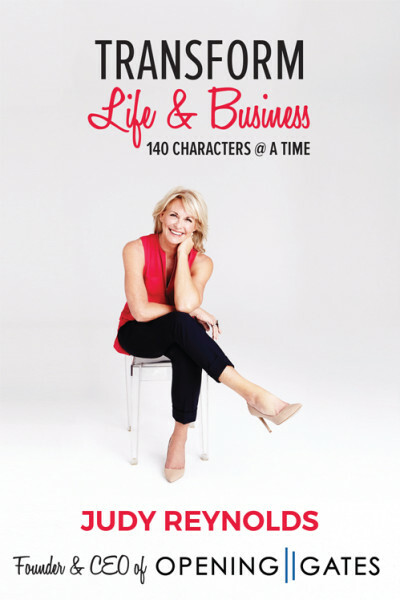 A must read for everyone in business. 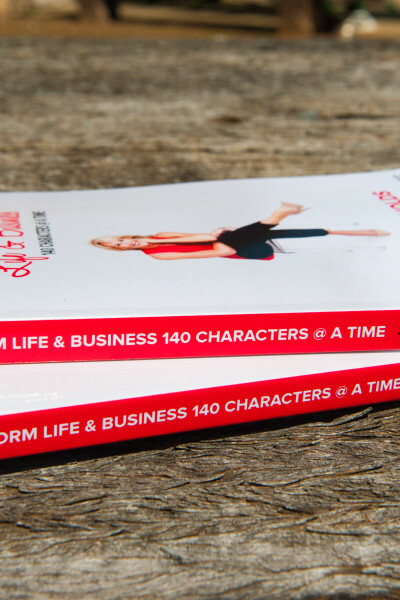 Uncover the value hidden in 140 characters of wisdom, sourced and proven in the real business world. 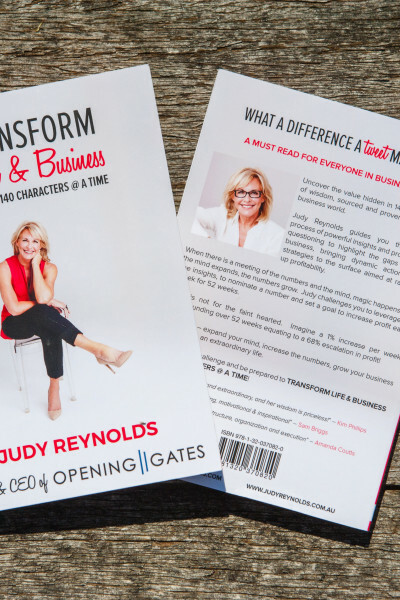 Judy Reynolds guides you through a process of powerful insights and provocative questioning to highlight the gaps in your business, bringing dynamic actions and strategies to the surface aimed at ramping up profitability. 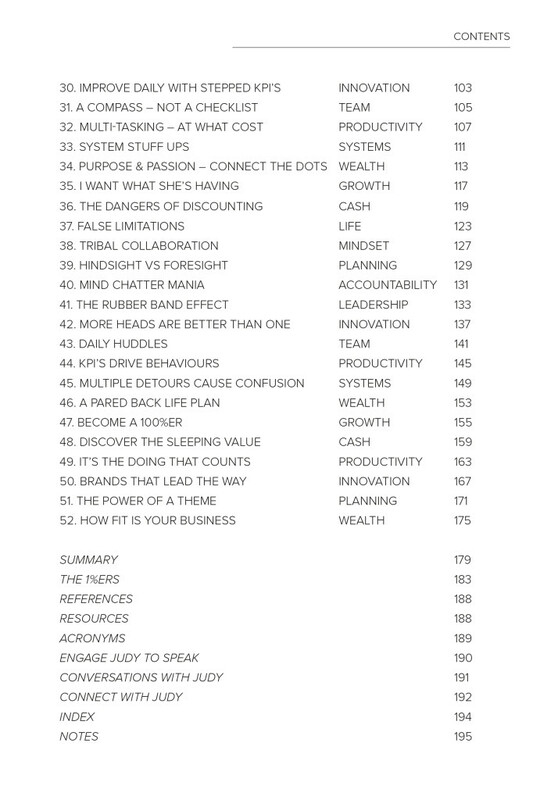 When there is a meeting of the numbers and the mind, magic happens. As the mind expands, the numbers grow. 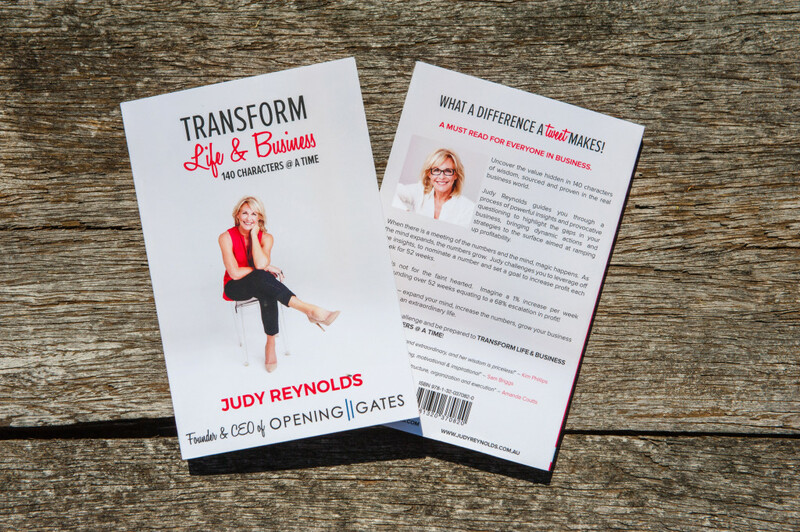 Judy challenges you to leverage off the insights, to nominate a number and set a goal to increase profit each week for 52 weeks. This is not for the faint hearted. 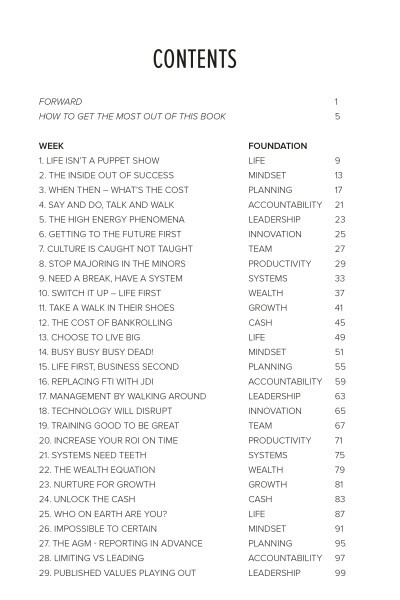 Imagine a 1% increase per week compounding over 52 weeks equating to a 68% escalation in profit! Lift the lid – expand your mind, increase the numbers, grow your business and enable an extraordinary life. 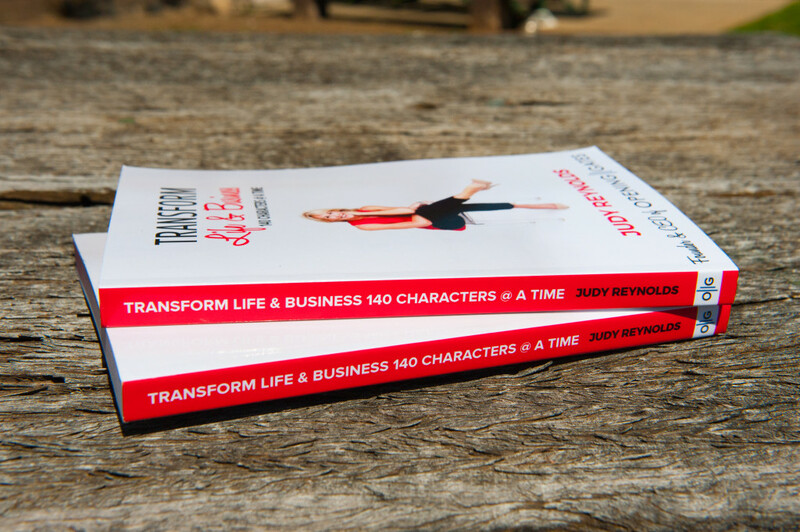 Take up the challenge and be prepared to TRANSFORM LIFE & BUSINESS 140 CHARACTERS @ A TIME! 6×9 inch (15x23cm) Soft Cover, 202 pages, Colour. Contact Us for bulk book sales enquiries.